As usual, I cap my reviews of certain films with some Oscar analysis. "Lincoln" definitely fits the bill, as it's likely to be a juggernaut at this year's Oscars. Firstly, Tony Kushner's rich screenwriting will surely be a strong contender for Best Adapted Screenplay. It boggles the mind to think about how he came up with all those eloquent lines of dialogue. In fact, it made me want to find a copy of the script to further take in the literary brilliance. You can also check off many of the visual-related categories. The team behind this film really did some impeccable period-specific work and should easily get nods for Best Production Design, Best Costume Design and Best Makeup & Hairstyling. As with most of Spielberg's films, the score was composed by John Williams, adding surprisingly subtle background music to the equally subtle proceedings. The music is spare, but it's so beautiful that it leaves you begging for more. If all goes well, John Williams could be in line for yet another Oscar nomination for Best Original Score. On a related note, the film should also get a nod for Best Sound Mixing. Another major triumph of the film is the editing. There isn't a wasted moment in this film and I am sure the Academy will acknowledge this with a nomination for Best Editing. As I said in the review, this film is an acting showcase and should easily secure nominations for Best Actor (Daniel Day-Lewis), Best Supporting Actor (Tommy Lee Jones) and Best Supporting Actress (Sally Field). Of the three, Field's performance will be the most divisive for general audiences, but she will certainly have a lot of support within the Academy. With all these ancillary nominations, you can bet that this film will figure into the 2 most important categories. I feel very confident when I say that "Lincoln" is a lock for Best Picture and Best Director nominations. In case you weren't keeping count, that's a whopping 12 nominations (and maybe even more!). It sounds outrageous, but this film deserves it. All that's left is to wait and see how many trophies it actually snags come February 24th. 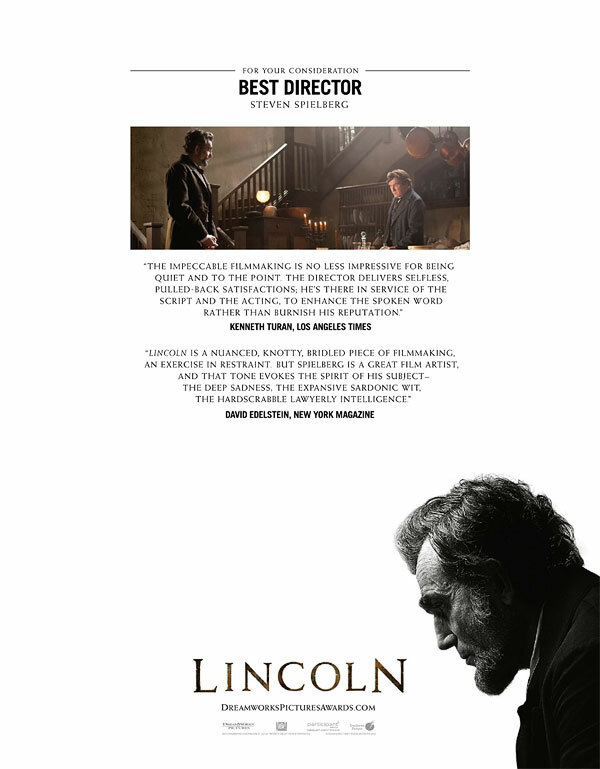 I could not see this film yet, but still I'm sure Lincoln is one of the strongest contender to Argo, Les Miserables and ZDT. It really seems to be front-runner in both creative and technical nominations which means it can easily win BP nomination. It will definitely be nominated for Best Picture. Can't wait to see it. Great to see Lee Pace mentioned here, I hope the movie takes few ensemble wins as even without seeing those I can already tell this cast delivers infinitely better work than the one in Les Miserables, they have Seyfriend and Redmayne and that is just wrong. Lee Pace is ssooo devious in this. You will hate him, but he gives a solid performance. I don't agree about Les Miz, but this is certainly a great ensemble and deserving of attention. Oh, the only way I'll hate him is if he kills a dog in this, which I doubt happens :) I can't wait to see him as a villain! Fine review. 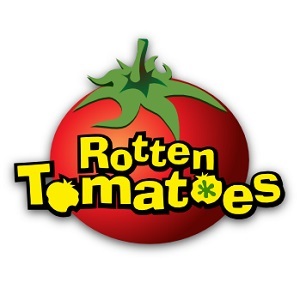 Had a great time with a movie that not only informs, but entertains a lot as well. Wish school was more like that, then I definitely wouldn't have been dozing off so much. I think we all wish school was this entertaining!